« Are You Looking To Rent A Large Number Of Mobile Devices? We’ve Got You Covered! There is a sad reality in every gamer’s life. That reality is called the real world, where you have to do real people things like work. If you’re looking for something that can kill two birds with one stone, you should probably look into the Acer Aspire V Nitro Black Edition laptops. 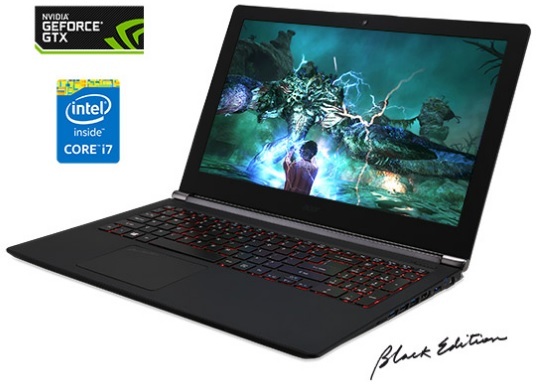 They are excellent gaming laptops, but they are actually made to make the transition from gaming to working very seamlessly. There is a 15 inch version and a 17 inch version that will be hitting shelves some time in mid October with a starting price of $1,099. Both models look pretty much the same. They have a really nice looking black casing that is coated in a softer material that is really nice to touch. They are both pretty thin as well, especially for how much power they are packing. The 17 inch version weighs 6.61 pounds and measures 16.65 x 11.54 x 1 inch and the 15 inch version weighs 5.29 pounds and measures 15.34 x 10.14 x 0.94 inches. They aren’t the absolute skinniest laptops that are on the market, but they are a really respectable size and certainly wouldn’t be considered chunky by any means. Both versions of the new Black series laptops will have a 1920 x 1080 IPS matte display with a 2.5 GHz Intel Quad Core i7-4710HQ processor. They also have a Nvidia GeForce GTX 860M with 2GB of VRAM. The 17 inch model is going to come with a whopping 16GB of RAM with 256GB SSD and a 1 TB hard drive. If that wasn’t enough, it also has a Blu-Ray player. The smaller version is going to come with 8GB of ram which is a big step down, but it also has a 1 TB hard drive.As far as ports go, both models have HDMI, Ethernet, an SD card slot, a Kensington lock slot, and a microphone/headphone combo jack. The 15 inch model will have 3 USB 3.0 ports and the 17 inch model will have two USB 2.0 ports as well as two USB 3.0 ports. No matter what how you look at it, these things are beasts. It doesn’t matter if you’re gaming, working, doing something creative like editing photos, videos, or audio. The Black series is going to tackle it with ease and be able to move on to the next one without even trying. If you like to dabble in a little bit of everything, or you are any type of professional with a lot of hobbies, you might have just found your dream laptop.